^ 1.0 1.1 1.2 Meyer, D.E. ; Schvaneveldt, R.W. Facilitation in recognizing pairs of words: Evidence of a dependence between retrieval operations. Journal of Experimental Psychology. 1971, 90: 227–234. doi:10.1037/h0031564. ^ 5.0 5.1 Tulving, Endel; Schacter, Daniel L.; Stark, Heather A. Priming Effects in Word Fragment Completion are independent of Recognition Memory. Journal of Experimental Psychology: Learning, Memory and Cognition. 1982, 8 (4). Zurif EB, Swinney D, Prather P, Solomon J, Bushell C. An on-line analysis of syntactic processing in Broca's and Wernicke's aphasia. Brain and Language. 1993, 45 (3): 448–464. PMID 8269334. doi:10.1006/brln.1993.1054. ^ Friederici, Angela D.; Steinhauer, Karsten; Frisch, Stefan. Lexical integration: Sequential effects of syntactic and semantic information. Memory & Cognition. 1999, 27 (3): 438–453. doi:10.3758/BF03211539. Semantic priming refers to the finding that word recognition is typically faster when the target word (e.g., doctor) is preceded by a semantically related prime word (e.g., nurse). ^ 8.0 8.1 8.2 8.3 8.4 8.5 Mayr, Susanne; Buchner, Axel. Negative Priming as a Memory Phenomenon: A Review of 20 Years of Negative Priming Research. Journal of Psychology. 2007, 215 (1): 35–51. doi:10.1027/0044-3409.215.1.35. ^ Neumann, Ewald; DeSchepper, Brett G. Costs and Benefits of Target Activation and Distractor Inhibition in Selective Attention. Journal of Experimental Psychology: Learning, Memory, and Cognition. 1991, 17: 1136–1145. doi:10.1037/0278-7393.17.6.1136. ^ Bentin, Shlomo; McCarthy, Gregory; Wood, Charles C. Event Related Potentials, Lexical Decision and Semantic Priming. Electroencephalography and Clinical Neurophysiology. 1985, 60. ^ Biederman, Irving; Cooper, Eric E. Size Invariance in Visual Object Priming. Journal of Experimental Psychology: Human Perception and Performance. 1992, 18 (1): 121–133. doi:10.1037/0096-1523.18.1.121. ^ Vaidya, Chandan L.; Monti, Laura A.; Gabrieli, John D.E. ; Tinklenburg, Jared R.; Yesevage, Jerome A. Dissociation between two forms of conceptual priming in Alzheimer's disease (PDF). Neuropsychology. 1999, 13 (4): 516–24. PMID 10527059. doi:10.1037/0894-4105.13.4.516. （原始内容 (PDF)存档于2011-07-19）. ^ Forster, Kenneth I.; Davis, Chris. Repetition Priming and Frequency Attenuation. Journal of Experimental Psychology: Learning, Memory and Cognition. 1984, 10 (4). ^ Marslen-Wilson, William; Tyler, Lorraine Komisarjevsky; Waksler, Rachelle. Morphology and Meaning in the English Mental Lexicon. Psychological Review. 1994, 101 (1): 3–33. doi:10.1037/0033-295x.101.1.3. ^ Matsukawa, Junko; Snodgrass, Joan Gay; Doniger, Glen M. Conceptual versus perceptual priming in incomplete picture identification. Journal of Psycholinguistic Research. 2005, 34 (6). ^ 18.0 18.1 Stanovich, Keith E.; West, Richard F. On Priming by a Sentence Context. Journal of Experimental Psychology. 1983, 112 (1): 1–36. doi:10.1037/0096-3445.112.1.1. ^ Klotz, W.; Wolff, P. The effect of a masked stimulus on the response to the masking stimulus.. Psychological Research. 1995, 58: 92–101. doi:10.1007/bf00571098. ^ Klotz, W.; Neumann, O. Motor activation without conscious discrimination in metacontrast masking.. Journal of Experimental Psychology: Human Perception and Performance. 1999, 25: 976–992. doi:10.1037/0096-1523.25.4.976. ^ Forster, K.I. ; Davis, C. Repetition priming and frequency attenuation in lexical decision. Journal of Experimental Psychology: Learning, Memory, and Cognition. 1984, 10 (4): 680–698. doi:10.1037/0278-7393.10.4.680. ^ Forster, K.I. ; Davis, C. The density constraint on form-priming in the naming task: Interference effects from a masked prime. Journal of Memory and Language. 1984, 30 (1): 1–25. doi:10.1016/0749-596X(91)90008-8. ^ Forster, K.I. ; Davis, C.; Schoknecht, C.; Carter, R. Masked priming with graphemically related forms: Repetition or partial activation?. The Quarterly Journal of Experimental Psychology A: Human Experimental Psychology. 1987, 39A (2): 211–251. doi:10.1080/14640748708401785. ^ Cermak, L.S. ; Talbot, N.; Chandler, K.; Wolbarst, L.R. The perceptual priming phenomenon in amnesia. Neuropsychologia. 1985, 23 (5): 615–622. PMID 4058707. doi:10.1016/0028-3932(85)90063-6. ^ Shimamura, A.P. ; Squire, L.R. Paired-associate learning and priming effects in amnesia: a neuropsychological approach. J. Exp. Psychol. 1984, 113: 556–570. ^ Blaxton, T.A. Dissociations among memory measures in memory-impaired subjects: evidence for a processing account of memory. Mem. Cogn. 1992, 15: 549–562. ^ Graf, P.; Squire, L.R. ; Mandler, G. The information that amnesic patients do not forget. J. Exp. Psychol. 1984, 10: 164–178. doi:10.1037/0278-7393.10.1.164. ^ Carlesimo, G.A. ; Oscarberman, M. Memory deficits in Alzheimer's patients: a comprehensive review. Neuropsychology Review. 1992, 3 (2): 119–169. PMID 1300219. doi:10.1007/BF01108841. ^ Schacter, D.L. ; McGlynn, S.M. ; Milberg, W.P. ; Church, B.A. Spared priming despite impaired comprehension: implicit memory in a case of word meaning deafness. Neuropsychology. 1993, 7 (2): 107–118. doi:10.1037/0894-4105.7.2.107. ^ Geva, A.; Moscovitch, M.; Leach, L. Perceptual priming of proper names in young and older normal adults and a patient with prosopanomia. Neuropsychology. 1997, 11 (2): 232–242. PMID 9110330. doi:10.1037/0894-4105.11.2.232. ^ Li L, Miller EK, Desimone R. The representation of stimulus familiarity in anterior inferior temporal cortex. J Neurophysiol. 1993, 69 (6): 1918–29. PMID 8350131. ^ Gruber, T; Müller, MM. Effects of picture repetition on induced gamma band responses, evoked potentials, and phase synchrony in the human EEG. Brain research. Cognitive brain research. 2002, 13 (3): 377–92. PMID 11919002. doi:10.1016/S0926-6410(01)00130-6. ^ Squire, L.R. ; Ojemann, J.G. ; Miezin, F.M. ; Petersen, S.E. ; Videen, T.O. ; Raichle, M.E. Activation of the hippocampus in normal humans: a functional anatomical study of memory. Proc. Natl. Acad. Sci. USA. 1992, 89 (5): 1837–1841. PMC 48548. PMID 1542680. doi:10.1073/pnas.89.5.1837. ^ Wig, GS; Grafton, ST; Demos, KE; Kelley, WM. Reductions in neural activity underlie behavioral components of repetition priming. Nature Neuroscience. 2005, 8 (9): 1228–33. PMID 16056222. doi:10.1038/nn1515. ^ Moldakarimov S, Bazhenov M, Sejnowski T. Perceptual priming leads to reduction of gamma frequency oscillations. Proc Natl Acad Sci U S A. 2010, 107 (12): 5640–5645. PMC 2851786. PMID 20212165. doi:10.1073/pnas.0907525107. ^ Demb, J.B.; Desmond, J.E. ; Gabrieli, J.D.E. ; Vaidya, CJ; Glover, GH; Gabrieli, JD. Semantic encoding and retrieval in the left inferior prefrontal cortex: a functional MRI study of task difficulty and process specificity. J. Neurosci. 1995, 15 (9): 5870–5878. PMID 7666172. ^ Gabrieli, J.D.E. ; Poldrack, R.A.; Desmond, J.E. 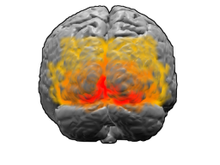 The role of left prefrontal cortex in language and memory. PNAS. 1998, 95 (3): 906–913. PMC 33815. PMID 9448258. doi:10.1073/pnas.95.3.906. ^ Dehaene, S; Naccache, L; Le Clec'h, G; Koechlin, E; Mueller, M; Dehaene-Lambertz, G; Van De Moortele, PF; Le Bihan, D. Imaging unconscious semantic priming (PDF). Nature. 1998, 395 (6702): 597–600. PMID 9783584. doi:10.1038/26967. （原始内容 (PDF)存档于2011-07-06）. ^ 42.0 42.1 42.2 42.3 42.4 42.5 Bargh, John A.; Chen, Mark; Burrows, Laura. Automaticity of Social Behavior: Direct Effects of Trait Construct and Stereotype Activation on Action. Journal of Personality and Social Psychology. 1996, 71 (2): 230–44. PMID 8765481. doi:10.1037/0022-3514.71.2.230. ^ Bargh, J.A. ; Williams, E.L. The Automaticity of Social Life. Current Directions in Psychological Science. 2006, 15 (1): 1–4. doi:10.1111/j.0963-7214.2006.00395.x. ^ Williams, Lawrence; Bargh, John. Experiencing physical warmth promotes psychological warmth. Science. 2008, 322: 606–607. doi:10.1126/science.1162548. ^ Cox, William T. L.; Abramson, Lyn Y.; Devine, Patricia G.; Hollon, Steven D. Stereotypes, Prejudice, and Depression: The Integrated Perspective. Perspectives on Psychological Science. 2012, 7 (5): 427–449. doi:10.1177/1745691612455204. ^ 48.0 48.1 Doyen, S.; Klein, O.; Pichon, C. L.; Cleeremans, A. Behavioral priming: it's all in the mind, but whose mind?. PLOS ONE. 2012, 7: e29081. doi:10.1371/journal.pone.0029081. ^ Pashler, H.; Coburn, N.; Harris, C. R. Priming of social distance? Failure to replicate effects on social and food judgments. PLOS ONE. 2012, 7: e42510. doi:10.1371/journal.pone.0042510. ^ Chiao, Joan Y.; scientist), Shu-Chen Li (Research; Seligman, Rebecca; Turner, Robert. The Oxford Handbook of Cultural Neuroscience. Oxford University Press. 2016: 8. ISBN 9780199357376 （英语）. ^ Yong, Ed. Replication studies: Bad copy. Nature. [12 October 2012]. ^ Kahneman, Daniel. A proposal to deal with questions about priming effects (PDF). Nature. [12 October 2012]. ^ Bower, Bruce. The Hot and Cold of Priming. Science News. [12 October 2012]. ^ Yong, Ed. A failed replication draws a scathing personal attack from a psychology professor. Discover Magazine. [12 October 2012].